Hi all! Tami from SewSophieLynn here to share my first make of the new year. 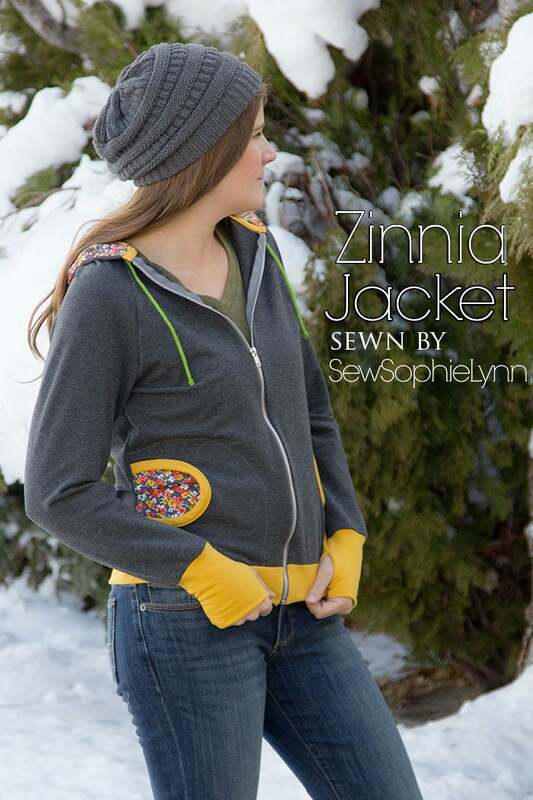 The Zinnia Jacket was just perfect to help me kick off my new years’ sewing with a bang! 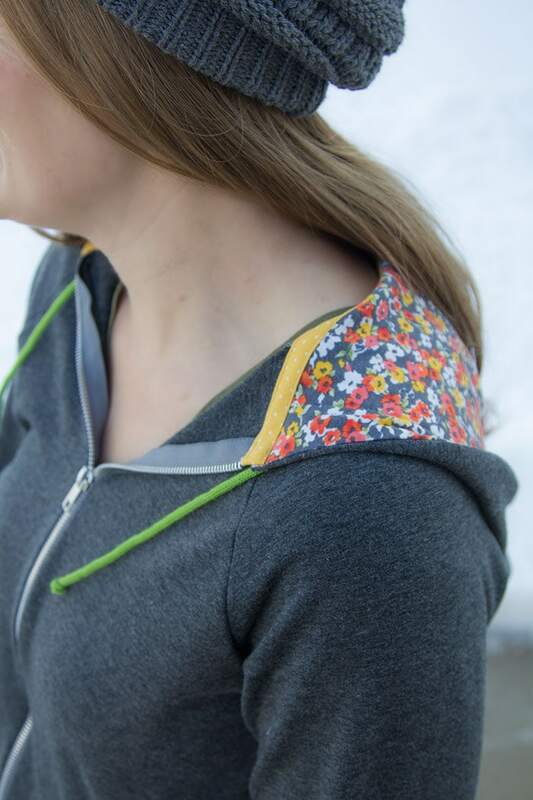 I live in layers in the winter and have been needing a new zip-up hoodie in my closet. I may need to retire the hand-me-down holey hoodie that has been my go-to for far too long. 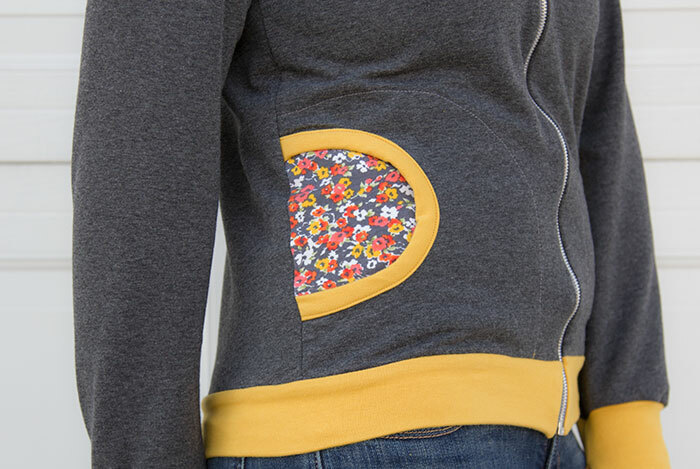 I love that the Zinnia is stylish and comfortable! I made a couple of changes to my jacket. I added grommets and a casing for a drawstring in the hood. (Sorry, no good pics of the grommets. It was fah-reezing so this was the fastest shoot ever!) I also bias bound the hood seam for an extra finishing touch. I made this bias tape ages ago and love the fun pop it gives this piece. My favorite addition is the thumb hole cuffs. I just googled ‘thumbhole cuff tutorial’ and there were so many helpful tutorials that walked me through this easy modification. I added two inches to the cuff piece for extra length. 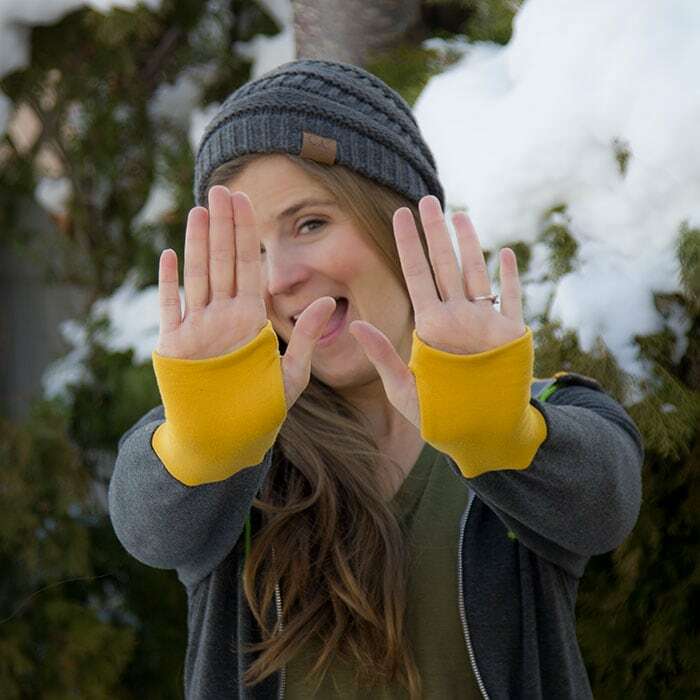 Now I want to add thumb holes on all my cozy sweatshirts – they up the warm and comfy factor so much! 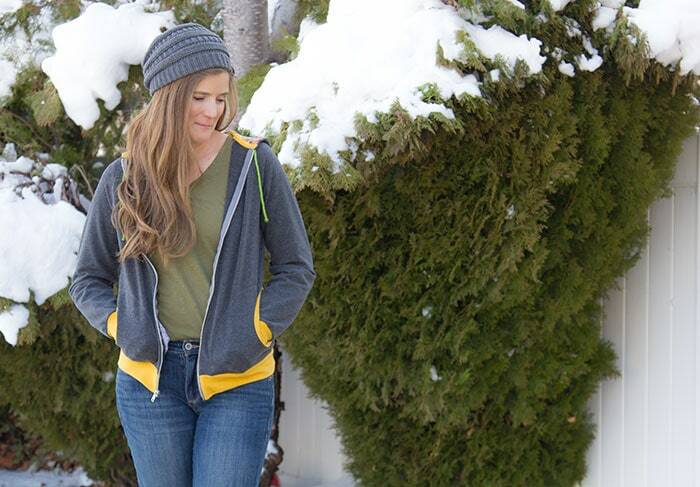 I love that this jacket is so easy to wear and will fit right in with all my everyday clothes. I hope you all had a wonderful New Year’s and I’m looking forward to what 2017 will bring!